This 4 circles venn diagram template can be used to describe the relationships between 4 major items. Separated by color, each item produces a different result when meeting 1 or more of the rest of the item. 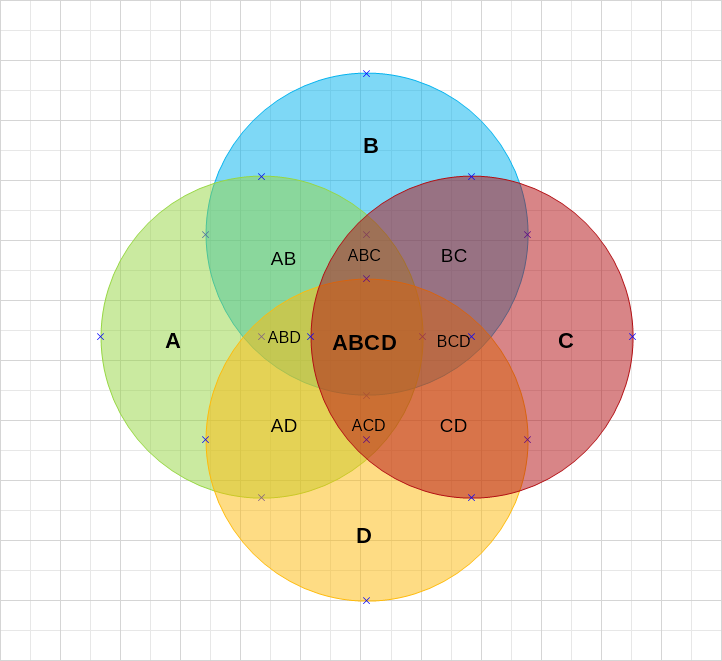 Venn diagrams, as this one, can come in handy when the relationships of several departments in a company (and their overlapping functions) need to be visualized. To edit the diagram, simply double click on the text and start typing.